NovAtel Inc. is showcasing its high precision positioning technology as part of AutonomouStuff’s “Roadmap to Autonomy” exhibit at the 2017 Consumer Electronics Show (CES), Jan. 3-8 in Las Vegas. The exhibit is located at the MGM Grand in the Skyline Terrace Suite. AutonomouStuff provides research and development platforms for the safe and reliable testing of automation technologies. It uses NovAtel’s exceptionally robust SPAN GNSS + Inertial (INS) technology to provide the highly precise, continuous 3D positioning necessary to evaluate robotic and autonomous solutions for autonomous applications. NovAtel’s SPAN technology combines a high-performance Global Navigation Satellite System (GNSS) receiver with an Inertial Measurement Unit (IMU) to deliver deeply-coupled centimeter-level positioning. 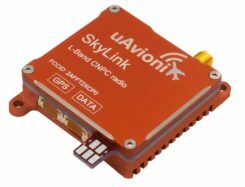 SPAN provides robustness against short GNSS outages, using IMU updates to bridge the positioning solution. SPAN also provides high data rate position, velocity and attitude (pitch, roll, heading) updates to capture the full real-time motion profile of a vehicle. Widely deployed in the automotive R&D space, SPAN supports applications ranging from autonomous navigation to V2X systems, where it is utilized to provide a source of vehicle ground truth. As a committed technology partner, NovAtel has worked closely with AutonomouStuff to optimize SPAN for AutonomouStuff’s vehicle perception kits. As a result of these efforts, AutonomouStuff is able to offer three different levels of positioning performance — “good, better, best” — based on the grade of IMU selected. The collaboration with AutonomouStuff is reflective of NovAtel’s commitment to the development of fully autonomous vehicles for a wide range of industries. In May 2016, NovAtel announced the formation of a new Safety Critical Systems (SCS) Group, tasked with developing functionally safe GNSS positioning products that will meet the exceptional performance and safety requirements of autonomous vehicles. AutonomouStuff and NovAtel representatives will be available in the MGM Grand Skyline Suite during the CES to answer customer questions. To set up a meeting with the NovAtel SCS team at CES 2017, attendees can contact Allan MacAulay, Business Development Manager, SCS (allan.macaulay@novatel.com).